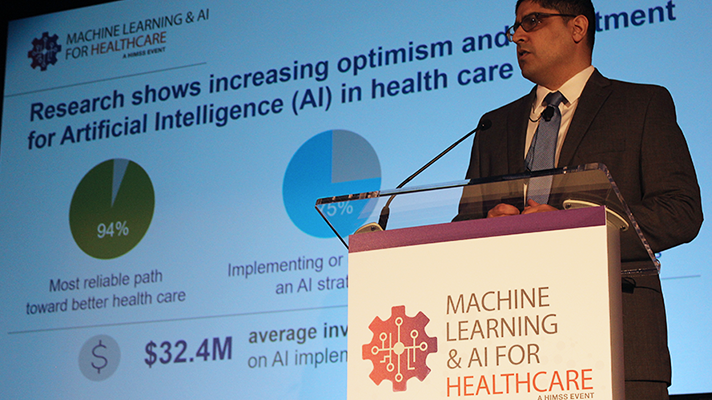 The deadline to submit a speaking proposal for the HIMSS Machine Learning & AI for Healthcare event is 5 p.m. on Monday, March 18. The event will be held in Boston on June 13-14. Event Overview: The influence of machine learning and artificial Intelligence is being felt throughout healthcare, but with it come big challenges with technology, terminology, domain expertise, and, perhaps most daunting, how to introduce this transformative tool into existing clinician workflows. Topics of interest and who can submit: This event presents peer-to-peer education and will look at the state of ML & AI in healthcare and separate what’s hype from what’s really happening in the field. Speakers will share success stories, lessons learned, and discuss challenges. We are particularly interested in how hospitals and health systems have implemented machine learning and AI to improve care, control costs, and drive operational efficiencies – in short, to transform healthcare to a better, more patient-centric and sustainable system. We also value submissions from other healthcare providers and payer organizations, academic institutes, and government agencies. We want sessions that share practical tips and actionable insights that our attendees from healthcare organizations can use to meet clinical and operational goals. Click here for more information and to submit a speaking proposal.